Achieve faster response times and lower your total cost of ownership (TCO) with data centre and virtualisation strategies designed to match your workloads. Whether you need performance-optimised flash technologies, ultra-dense storage enclosures, traditional or software-defined storage (SDS) solutions, we can help you choose the right options for your organisation’s needs. All-Flash, Converged, Cloud, Big Data ― Dell EMC is the #1 infrastructure provider. 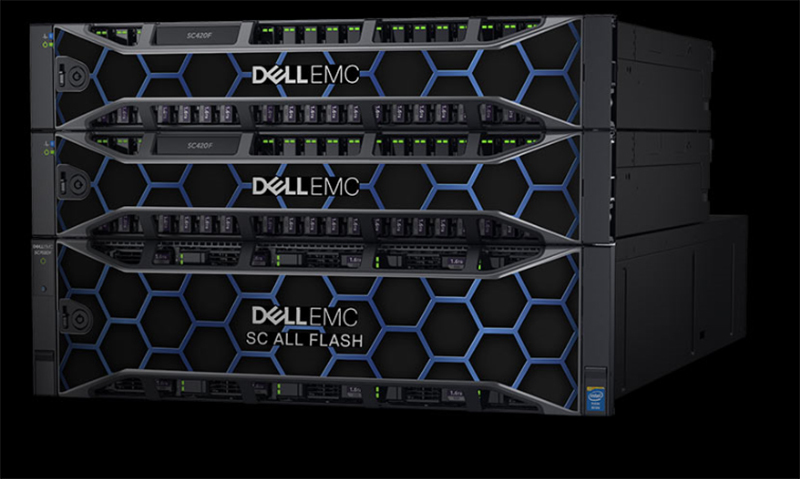 Automated hybrid-to-all-flash storage solutions powered by Intel® Xeon® processors, offer transformational performance, flexible architecture and future-proof value, offering modern architecture and affordable performance for organisations of all sizes. Dell EMC EqualLogic PS storage solutions deliver the benefits of consolidated networked storage in a self-managing, iSCSI storage area network that is affordable and easy to use, regardless of scale. By eliminating complex tasks and enabling fast and flexible storage provisioning, these solutions dramatically reduce the costs of storage acquisition and ongoing operations. Simplify consolidation and management of data over your network with Dell EMC's PowerVault MD Series, an entry level, affordable choice for reliable storage. Krome Technologies is a highly accredited Dell EMC Platinum Partner holding specialisations in Dell EMC Storage. Working in partnership with Dell EMC at this high level allows Krome to offer our clients a superior level of service, in addition to exceptional pricing and support. Our technical expertise around Dell EMC Storage is unrivaled, offering Dell EMC Storage Solution Design, Implementation, Consultancy and Support Services. Krome’s consultants have numerous years experience; assisting clients of all sizes to design and implement storage solutions that meet their individual requirements. What do you require assistance with?